Replacing original fuel pump with a CIS version as this system works with higher pressure instead low pressure injectors. wire harness from donor car was , as you can guess fkd up --that why its called a fairy tale-- again dissapointment. Preparing a new connector cable and we should be able to finish installation next weekend. then only few steps away from testing pressures on the fuel system. Next time I know for sure I am picking the correct time period donor and base instead of upgrading and downgrading complete cars. How do you say that again??? I don't think I heard you right!!! The Turbosystem and the donorcar are both 1980-1985 era with the mechanical high pressure injection called CIS. My Cabriolet is a 1991 and already new type everything , like fuel rail with injectors etc etc. Sometimes I wished I bought a complete programmable standalone system but I am going for the nostalgic looks and drive. Are you going to make your own wiring harness? BIGJOHN wrote: Are you going to make your own wiring harness? I am going to make a connector cable factory look from "new to "old"
The motor wire harness from the "old" engine was -lucky me- plug n play to the fuse panel. He is going to fit a new downpipe to tail and fitting the Turbosmart wastegate as this has different flanges that the original. J, any news on starting her up since last year? Yep , its running and driving. Only issues with boost, cannot drive full throttle as it starts to stutter and clutch is though new having problems with the torque. Yesterday , the car was parked again. I decided to look for the ultra rare non AC version intercooler which is front mount instead low mount. What's the source of the oil? 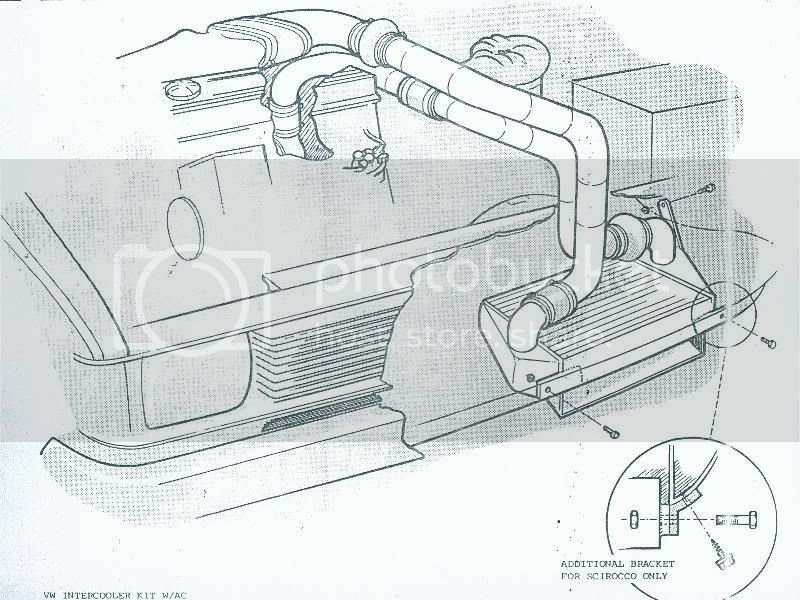 Location and orientation of the intercooler may not be a factor. The reason for this trouble is probably because I included the carterventilation on top of the valve cover to the vacuum system en this is good with natural aspirated engines but when you put pressure on the ventilation the oil return gets clogged and therefore pushed out at turbo inlet and in my case I think also crankcase seal through to the clutch.